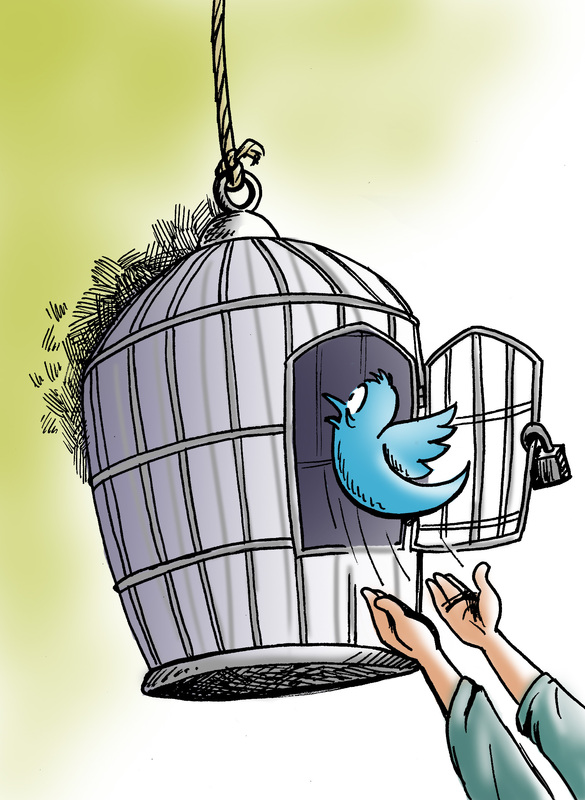 Browsing through Twitter, Facebook or Instagram these days reveals a large Iranian presence, despite the restrictions and outright bans on these platforms in Iran itself. The supreme leader, the president and the foreign minister can tweet away, while the average citizen is limited. There are some who use it unofficially and illegally for activism, relentlessly exposing Iran’s rights abuses and campaigning for greater freedoms. But officially it is used for glorification and propaganda on behalf of the regime and Iran’s Islamic Revolution. Its current leaders, content to ignore the hypocrisy inherent in using banned platforms to further their political agendas (particularly with audiences abroad) continue arresting and imprisoning their own citizens for using them. Mapping Iran’s diverse social media presence is made even more complex by the numerous unofficial profiles floating in the Twittersphere and elsewhere spreading the messages of Iran’s leaders – some of them long since deceased. Recently, Western media outlets have been paying more attention to this phenomenon, wherein Iranian leaders send out messages from beyond the grave on blocked or restricted media platforms. Last week, for example, news outlet Vocativ featured an article on the “Social Network Afterlife” of former Iranian Supreme Leader Ayatollah Ruhollah Khomeini, who died 26 years ago, writing that his social media presence commands “a loyal following from beyond the grave.” The website even analyzed the revolutionary ayatollah’s Facebook fanbase, concluding that though most of his 450,000 active monthly followers are Iranian men aged 25-34. He has a significant fanbase among Iranians in the US (“The Great Satan,” in Khomeini’s own idiom)…apparently it is easy to idolize the ayatollah from afar while enjoying the freedoms the US has to offer.